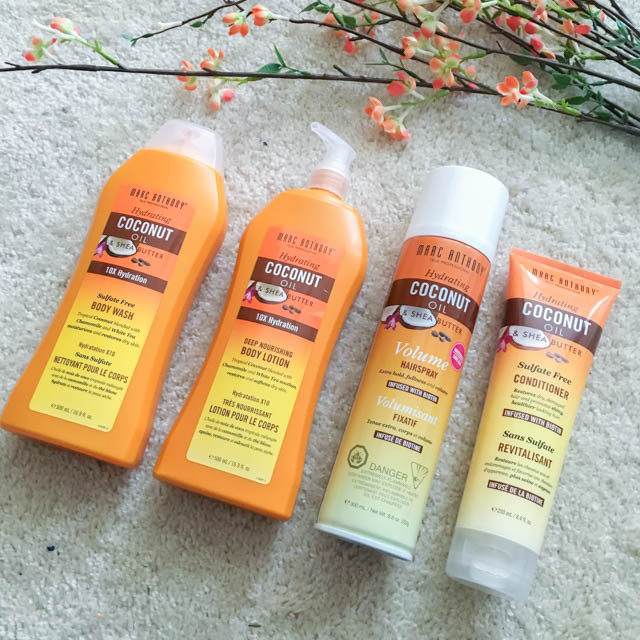 I'm one of those persons who uses coconut oil for EVERYTHING and I got the luck to try the Marc Anthony Professional Hydrating Coconut Oil & Shea Butter hair treatments that the wonderful people at Marc Anthony sent me a couple weeks ago. Before we get into the review, the first thing that stood out to me was the packaging, it reminded me of the banana boat sunscreen bottle. Just wanted to point that out, because maybe that is the reason why even when I've seen them on the store several times I haven't been drawn to get them, but how wrong I was, the products are amazing!! Don't let a package fool you! 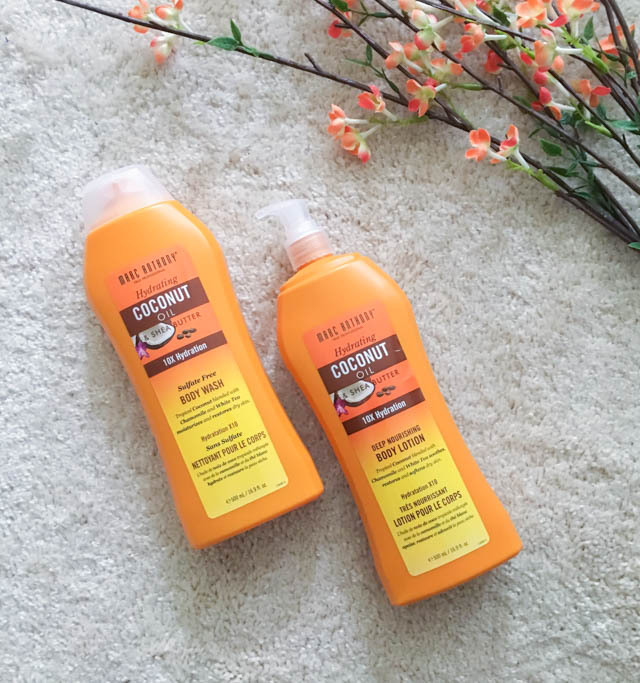 The first thing I tried out was the Sulfate free body wash which is amazing to say the least. I love how soft the scent is and it feels very refreshing while bathing. The biggest benefit that I notice is that as someone who has delicate skin I love how it doesn’t irritate my skin as some of the other body washes do. I have used it every day and I can’t begin to describe how wonderful this has been. Plus I love that the coconut scent lasts on me a full day. Up next we have the Deep Nourishing body lotion which I use after taking my shower. It is a non-greasy formula that goes on smooth and has a great smell. My skin quickly absorbs the lotion and I enjoy how long it last. I like that I rarely have to re-apply on my body, but I have to admit that It doesn't work that great for my hand & feet. I also tried their sulfate free conditioner, and for me this was a keeper! 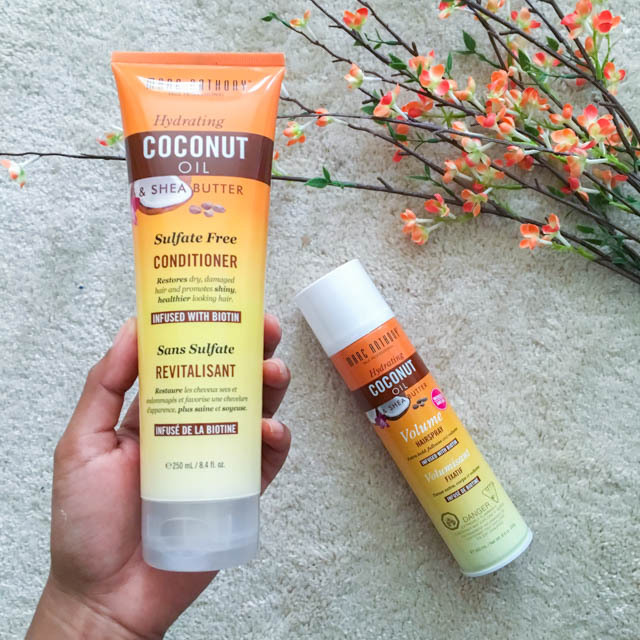 The coconut scent is probably what makes me love this product the most, It's like smelling the beach on my hair all day long. Not only that, the conditioner makes my hair soft and shiny without making it heavy or greasy like it happens to me when I use nourishing hair treatments. It also got extra points for being sulfate free! The Volume hairspray took a bit a time for to get use to because while it doesn’t have an odor, every time I applied it, I felt that my hair was wet for a while. Once the hairspray dries, it withstood my drive to work with the windows open on a windy day. My hair had a nice natural shine and didn’t leave any flakes. I only had to apply to once and it lasted all day. Perfect when you want to go out after work and don’t have time to touch up. Overall I think this is a great line of products, considering it is a drugstore line, and you can buy any of these products for less than $10. If you're one of those persons with dry sensitive skin you sure love their body products. And the hair care line is perfect for those with thin hair looking for a product that won't make their hair heavy. Have you tried Marc Anthony Professional before?